His inspiration in his early works were the water lanes and scenery of the island. These early works were remarkable for ‘an extremely lavish use of body colour’ (J L Roget, A history of the ‘Old Water-Colour’ Society, 2 vols. (1891)). Woodcuts made from his paintings were used to illustrate the book The Channel Islands (1862) by D T Ansted and R G Latham. 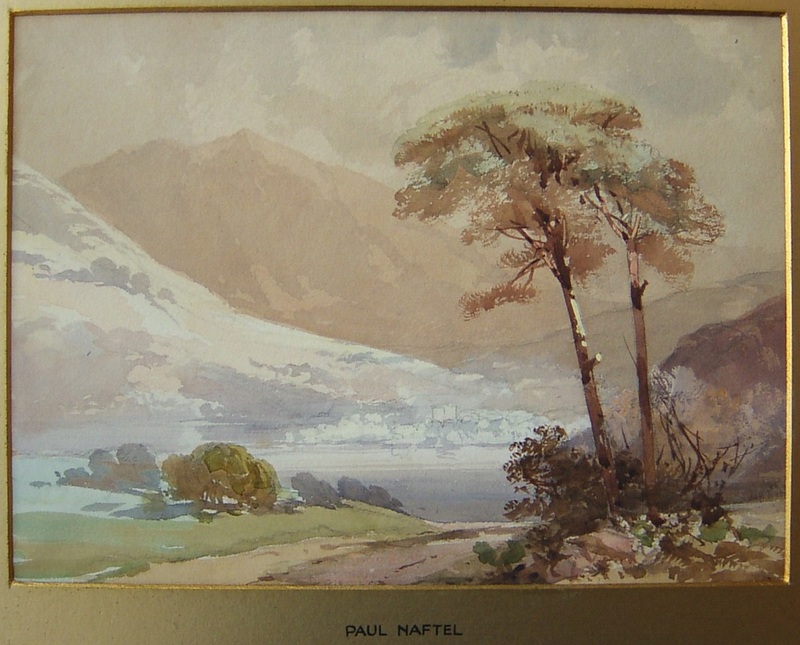 Naftel's watercolours began to gain an audience outside the islands and he was elected an associate of the Society of Painters in Water Colours on 11 February 1856. Three years later (on 13 June 1859)he became a full member. He contributed greatly to the to the society's exhibitions and showed 689 works between 1840 and his death. Although Guernsey views were his speciality he travelled widely, throughout Britain, but also in Switzerland, Spain and Italy. He produced and exhibited works from these experiences.